Let’s face it. If you’re reading this site, you’re probably going to watch Indiana Jones and the Kingdom of the Crystal Skull – and love it. Happy New Year! 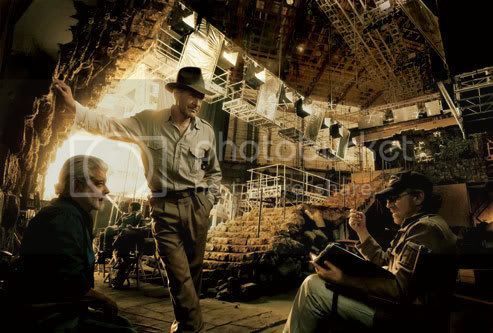 We start off this year with a bit of fun instead of actual archaeology – Vanity Fair has an exclusive on-set report on the upcoming movie Indiana Jones and the Kingdom of the Crystal Skull! I couldn’t resist. 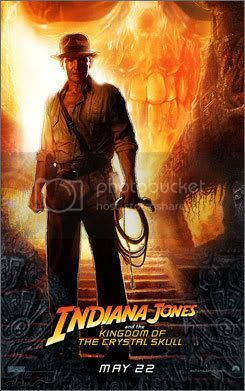 The poster for the upcoming Indiana Jones and the Kingdom of the Crystal Skull has just been released. The Indiana Jones series has single-handedly romanticised the person of the archaeologist – so much so that it’s not hard to hear an Indiana Jones-related quip anytime I introduce myself as an archaeologist (the other half of the time, it’s about dinosaurs…). Although, in real life we know the Nazis in the film were probably better archaeologists because they actually took measurements. Speaking of Nazis – none of those in the new film. It’s going to be set in the 1950s during the cold war, and so the bad guys in this film will be the Soviets. The archaeological setting is in South America. Hmm… one can wish they would do an Indy film with Southeast Asia as a backdrop, no?